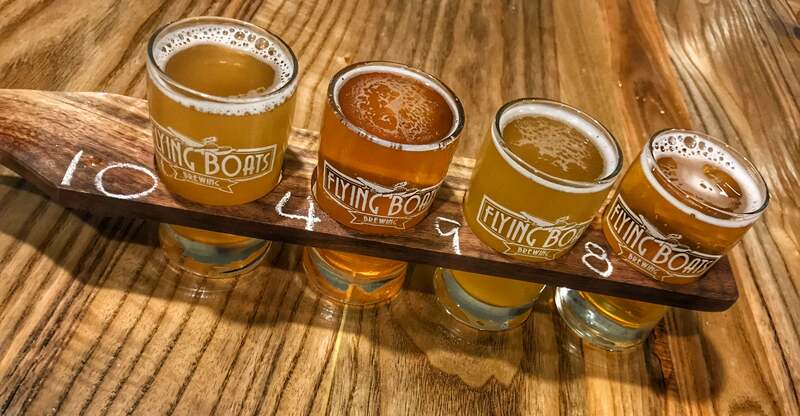 The evening started with a visit to a new local craft brewery, Flying Boats Brewing. My co-workers and I had the pleasure of meeting the owner who gave us a thorough tour through his operation. I’ve never learned so much about brewing as I did in that 30 minutes and it was fascinating. I was impressed that for an operation that started in the owners garage in 2015, it has now grown to a, 15 barrel brew house with a canning line. They also recently opened a fully licensed taproom with beer flight samples, pints, growler fills, and 473ml cans for sale. On tap were 9 brews to chose from plus a delicious radler. The radler available was a mix of their Kissing Rock Blonde Ale and lemonade. Pricing is reasonable. 16oz pint goes for $6.50, Growler Fills are $7.50 for 1L and $14 for 2L. The sampler which I did in the tap room was 4, 4oz samples for $8.50. All pricing is taxes in. The Kissing Rock Blonde Ale was my favourite and a few cans definitely made it into my suitcase home. Looking forward to a re-stock when I make it back. It was then time for a food run which meant hitting up another local brewery that also has a full restaurant, Pump House Brewery. 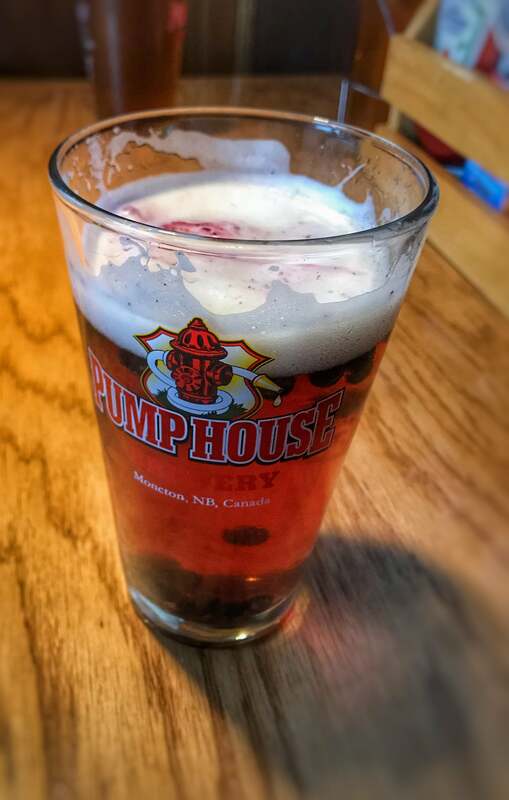 Pump House has been brewing since 1999 and while has its roots in New Brunswick, its product can now be found in every province across Canada except for Quebec and Saskatchewan. 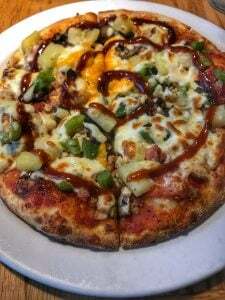 The name comes from its founder, Shaun Fraser, who is a retired fire fighter from the Moncton fire department. The operation has expanded from it’s centrally located brewery and restaurant to the purchase of an additional building a bit more out of downtown. This additional building was used to house bottling equipment to brew, bottle, and package the Pump House brands for sale in liquor and beer stores. There has now been further expansion with the development of another restaurant called the Barn Yard BBQ. My favourite is the Blueberry Ale which I’ve now been buying for years. I love that when you visit the Brewpub and order it, it comes with blueberries floating in it. while creating a light and crispy crust with a truly unique taste”. like pineapple especially when it gets a grilled taste to it!